The train pulled in to New Orleans Union Passenger Terminal on 'Katrina Day,' August 29, ahead of schedule and exactly ten years to the day after Hurricane Katrina (and three weeks later, Rita) thrashed the Louisiana coast. The year of The Storms was 2005. The year of the train was 2015. We were back in Big Swamp City, New Orleans for a month of August-filled days remembering that day we had turned the lock on our front door at Squalor Heights ~ my Faubourg Marigny garret ~ never again to gain the life we had lived there. Katrina racked up the largest storm-loss in American history ~ including Superstorm Sandy and Hurricane Harvey, though Harvey is expected to be calculated upward ~ and ushered in a time too painful for poets or politicians. Now we are beyond that. Take heart, Houston, it will get better. We know how you feel in Texas, and the Caribbean. We are bonded deeply as Death dancing with itself ~ locked in the arms of Hope and Resurrection. We slid on and off Louisiana's slippery Road Home, after Hurricanes Katrina and Rita, and finally we found peace decamped to Acadiana. Happily we rebooted to a Life of eating potato salad in our gumbo, and traveling Amtrak's iron road in and out of New Orleans ~ and occasionally to Houston. "Not a bad way to live," L. A. Norma says, exhaling her personal Camel carbon-footprint. It is re-populated with thousands of newer versions ~ even glamorous movie-making versions of ourselves eating, drinking and schmoozing in hundreds more restaurants, cafes, coffee shops, and bars. We sit with these newest New Orleanians, talking movies as if we were the largest movie-making state in the Union. Well, we were before Louisiana Governor Bobby Jindal and his hired band of giddy Beltway advisers whittled us back down to backwater movie plantation size. "Bible-thumping, budget-juggling, selfish 'Out-of-Town Bobby'," L. A. Norma says, throwing her arms towards the sky then folding them back on herself. "A chameleon, drooling for the White House! An elitist maharajah changing colors and spoiling the dreams of all the rest of us little untouchables!" We talk with these new movie people as if we know their business as well as we know the bars on Frenchmen Street. Recently we even ate dinner aboard the Sunset Limited with a charming film ingénue relocating, "From L. A. to LA." For movie work! Holy cow! "Things have changed," Norma says, "but I still see plump Ignatius almost every time I ride the bus." Norma is speaking of A CONFEDERACY OF DUNCES protagonist, Ignatius J. Riley, in John Kennedy Toole's knee-slapper novel. 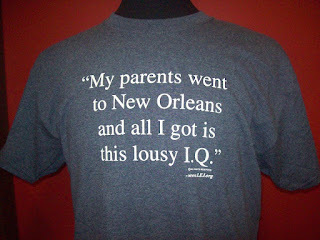 It captures pre-K. New Orleans perfectly. Today's Ignatius uses e-pads and smart phones in ways that would have caused his earlier incarnation's heart flap to flutter, and his New York City girlfriend to launch another tour de force awakening Wee The People of The Swamp. 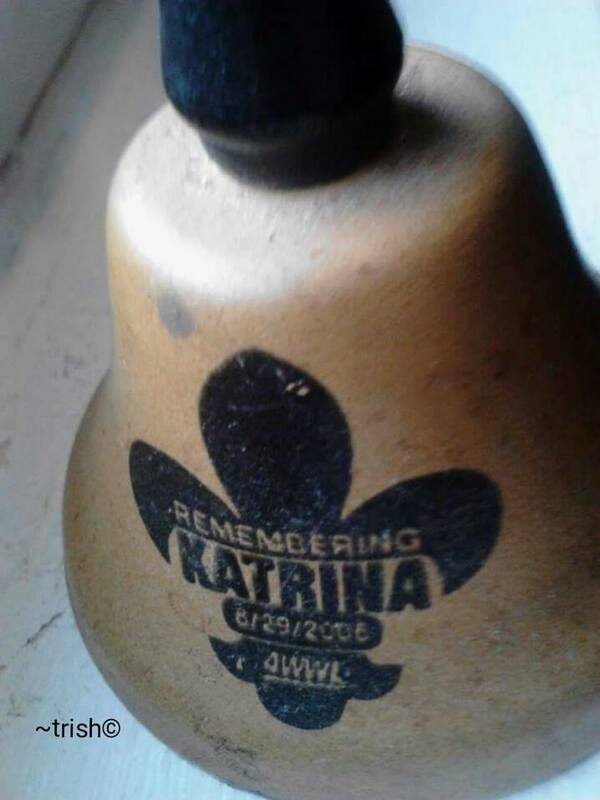 Two years after Katrina, a young writer we know, and his Wife rented Squalor Heights, and had a baby. We decamped to Cajun country. 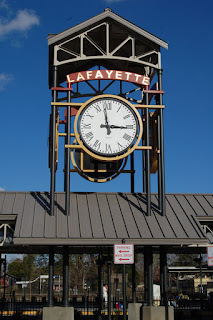 We had first arrived in the Hub City of Lafayette during the evacuation for Katrina, and just in time for Hurricane Rita ~ the bigger of the 2005 storms. Rita hit Acadiana three weeks after Katrina and pushed the Gulf of Mexico up over New Orleans broken levees a hundred miles away ~ for a second time in a month. "It's non-global-warming," Norma said, puffing on a Camel Cigarette. No, we were being punished for our Sins, said hateful radio preachers. "Like Job," Norma said, "punished by his fickle Gott. Like Louisiana politicians ~ who do love giving us a good lashing." My new rooms in Acadiana are in an old railroad hotel where once Elvis Presley stayed ~ 'The King of Rock'n Roll' prefered traveling by train. Around the corner is an Amtrak stop, where I catch the Sunset Limited to Big Swamp City once or twice a month. I live a new Life, where I'm both gone and present. A fine metaphor for an old man. the loveliest of Bourbon Street dancers. 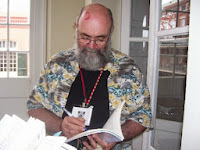 Early during the Katrina evacuation we found New Orleans columnist Chris Rose speaking one night at a kind of teach-in at the Acadiana Center for the Arts, on Vermilion Street, in Lafayette, where I was teaching creative writing to the scattered of the storms. Rose said, the storm news was so vast and life-changing that it would be an above-the-fold story ten years into the future. Now it has been twelve years. Look at the front page ~ if you can find one ~ and see if the story of Katrina and its diaspora are not still there, above-the-fold. 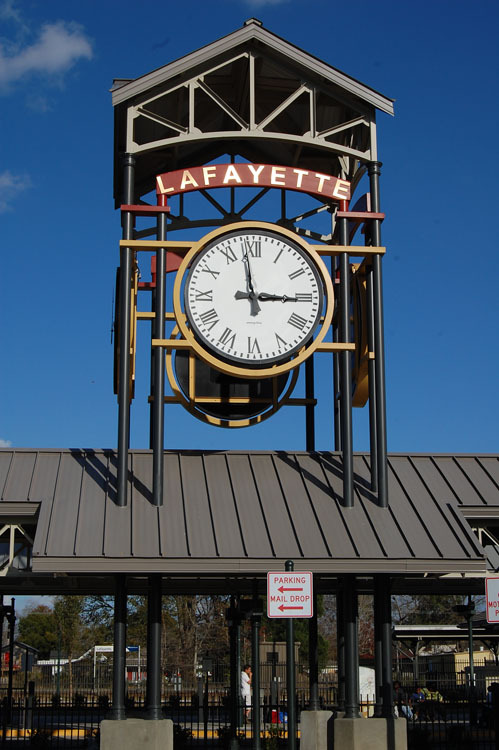 In the decade-plus since Katrina blew us across the Atchafalaya Basin, and Rita welcomed us to Acadiana ~ forty thousand New Orleanians came with me ~ I have learned differences between things I hadn't known were things. Like bousillage and boudin. More than a million Louisianians were scattered by the winds of '05. Thousands remained in Texas, and a popular bumper sticker appeared on Houston's freeways saying, "Be a New Orleanian wherever you are!" Houston, your dispossessed are Houstonians, too, wherever they are. To you all ~ from all of us ~ it will get better. Contact me if you want on the list ~ that may get e-mailed. 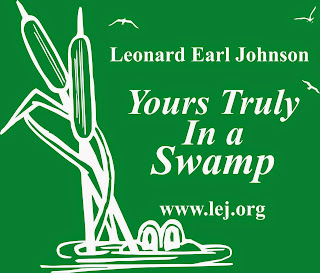 If you wish to read any month's column they are archived at www.LEJ.org. Each new column is posted on the first of each month and polished for the next few weeks. © 2017, Leonard Earl Johnson, Rights Reserved.